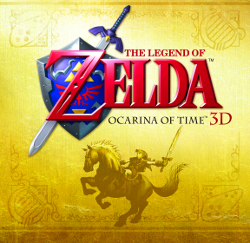 Ocarina of Time 3D! For long have we anticipated and hyped it up, and now it is starting to arrive. Our lucky friends over in Japan got their hands on it last Thursday, June 16th. The guys and gals over in Europe got it the day after. From our Facebook page, at lot of our European viewers are excited as heck (yeah, superb word choice), and why wouldn’t they be? So if you’re over in Europe, and Japan to be fair given that we have about 700 Japanese viewers, have you got your copy of the game yet? If not why? Let us know your opinions and impressions below – especially if you’ve gotten yourself a copy already. For our mostly American userbase, you’d all know that Ocarina of Time 3D reaches you and all North America this Sunday. And the always lucky Australians have to wait until the 30th of June. Yeah, feel free to sound off about the wait in the comments below. I’m glad that the awesomeness that is Super Mario Galaxy 1 and 2 exists to get me by until then.